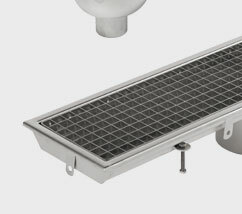 The stainless steel box drain channels with slope are prefabricated elements ready for installing and inserting Gridiron grids. 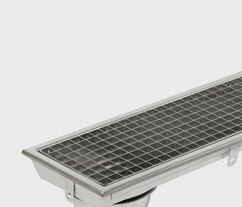 Made in stainless steel AISI 304 at a thickness of 1.5 or 2 mm, they are provided with lugs at the sides for anchoring in the concrete. 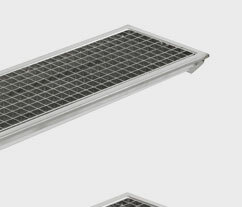 They are available in lengths up to 6 m and provide perfect drain channels for the food and chemical sectors. 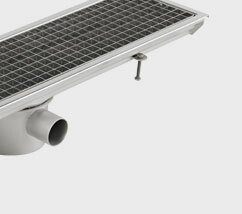 The central drain for liquids is complete with a filter trap to help the removal of refuse and to prevent bad smells being issued.